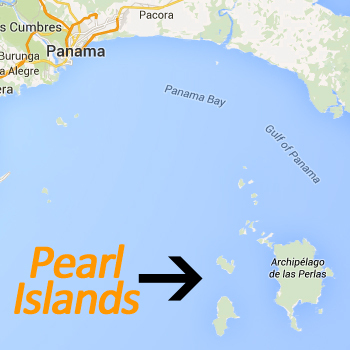 Getting to the Pearl Islands is easy and fast from Panama City. Since the Islands are located just off shore the Panamanian mainland an estimated travel time takes only one to two hours in total. There are three ways to get to any of the Pearl Islands. We will discuss the fastest and cheapest routes to the Islands from Panama City. The fastest way to get to the Pearl Islands is by plane. Flying to the Pearl Islands will get you from Panama City Airport to Contadora Island in only 15 minutes. The most frequent air service to the Islands is Air Panama and Aero Perlas., frequent flights daily. This is not the cheapest way to get to the islands, adding up check in time etc. it might not even be the fastest way but probably the most comforting. An Average price of US$100-200 dollars is normal. Taking the ferry from Panama City to the Pearl Islands gets you there in around one to two hours. These ferries travel daily and visit multiple islands in their schedules. A common roundtrip of the ferry starts in Panama City then goes to Saboga Island, Contadora Island back to Saboga and Panama City. Average rates for roundtrips are US$80-100, one-way will cost you on average US$50-60. Another way to get to the Pearl Islands is by Sailing tour. Some charters are offering short trips of a few days visiting different Pearl Islands by sailboat. You will sleep on the boat but spend the day on the beach or sailing. It’s a fun and adventurers way to explorer the Golf of Panama and the Islas de Las Perlas. Average prices are fluctuant since it depends on the ship, how many people, how many days and the captains. Average prices for a four-day trip will cost you around US$400-500. Oceantrips.com offers amazing sailing charters in Las Perlas (Panama) on owner-operated sailing- and motor boats. Go to http://oceantrips.com/sailing-areas/las-perlas/ and book a sailing charter in Las Perlas.